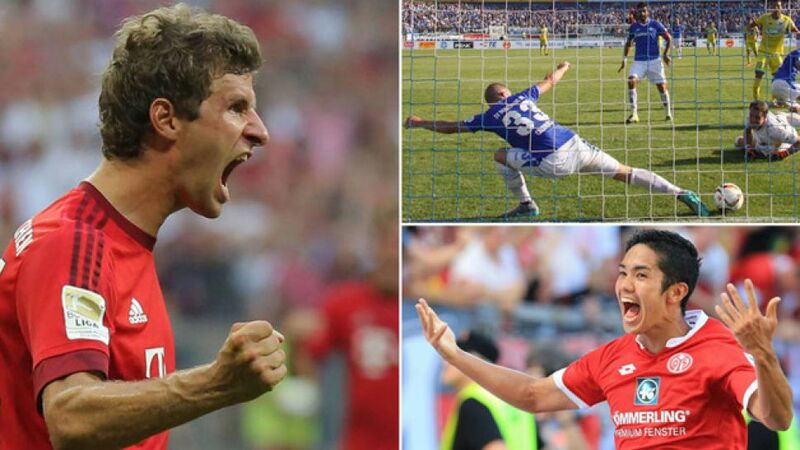 Cologne - Faces old and new stepped up to the plate on another thrilling round of fixtures on Bundesliga Matchday 3. Staying with Bayern, let’s not forgot Pep Guardiola’s men lined up for Saturday’s top-of-the-table encounter without a single recognised centre-back in the matchday squad. Did it make the slightest bit of difference? Not at all! The record German champions' makeshift back line provided a solid foundation for the dismantling of one of the Bundesliga’s most feared attacking ensembles. 1. FC Köln were up there with the very best last season when it came to protecting their own goal, but they left a lot to be desired in front of it at the other end. Now, though, the Billy Goats' apparent foibles in the final third - only Hamburger SV and relegated SC Paderborn 07 scored fewer goals in 2014/15 - appear to be a thing of the past thanks to red-hot trio Simon Zoller, Anthony Modeste and Philipp Hosiner. The latter two were on target in Saturday’s come-from-behind victory over HSV, taking Köln’s tally for the campaign to six goals in three outings and ensuring the North Rhine-Westphalian club remain unbeaten at the RheinEnergieStadion in 2015. Three games into the new season and promoted side Darmstadt 98 remain unbeaten. Their 0-0 draw with TSG 1899 Hoffenheim was the third successive time the Lilies have shared the points this term. That is perhaps unsurprising given their form in 2014/15, when they drew 14 matches in the Bundesliga 2. On Saturday defender Luca Caldirola secured them a point with a dramatic goal-line clearance in the last minute.